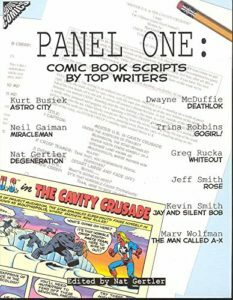 For anyone who makes comics or wants to, here is a collection of sample scripts from some of the best and brightest folks in the comic book business. Includes a Marvel-style plot from Cyborg creator Marv Wolfman, full scripts from Neil Gaiman (Miracleman), Kurt Busiek (Astro City), Trina Robbins, Nat Gertler (including the finished art by Steve Lieber), Greg Rucka (Whiteout), Dwayne McDuffie (Deathlok), and Kevin Smith (Jay & Silent Bob). Plus a drawn script by Jeff Smith for his Bone tie-in series Rose! Each script is introduced either by the writer or by About Comics publisher Nat Gertler. 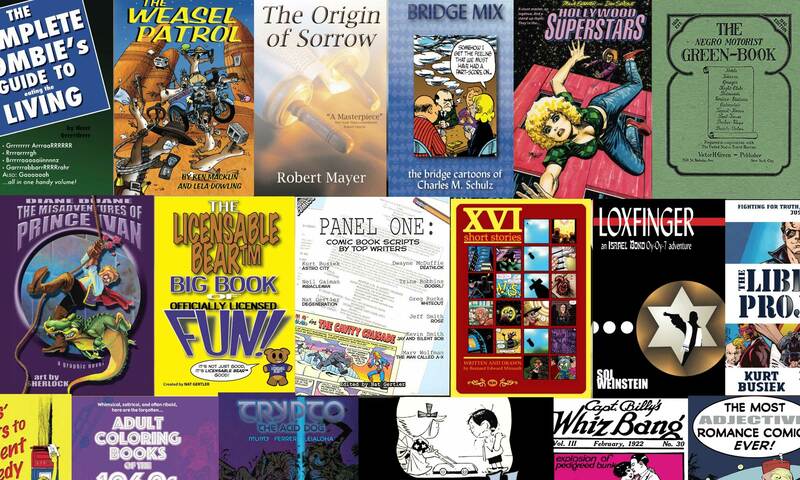 Order Panel One: Comic Book Scripts by Top Writers from Amazon!